Are you interested in attending one of our services but don't know what to expect? 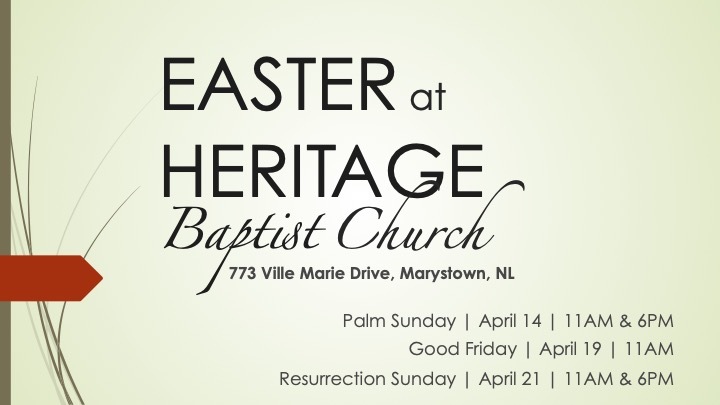 If you look for 'Heritage Baptist Church, Marystown, NL' on Facebook you can watch one of our services from the past several months. Most of our services are recorded on FaceBook Live so you can check out a live service before you even visit us in person! Thank you for visiting the online home of Heritage Baptist Church. You are welcome at any of our regular services on Sunday and Wednesday. If I can do anything for you, feel free to contact me using the link below. 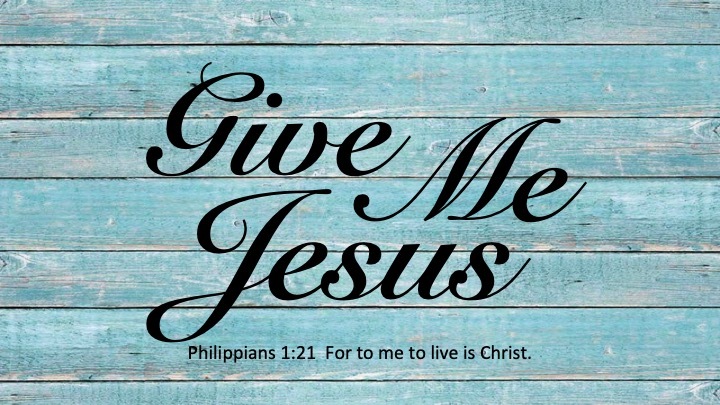 Our church theme for 2019, "Give Me Jesus", will help us remember that we ought to have Jesus as a part of every aspect of our lives. Come join us on this journey during our regularly scheduled services on Sundays at 11AM & 6PM.